Some time ago, I learned that DocuSend had been plagiarized. I've had things stolen from me before, felt the sting of being violated, and felt the frustration of the loss. But the things I lost were replaced and life went on. That’s because I was brought up to believe that money in its physical sense has little significance. It is nothing but paper and green ink. What gives money its value is how it was earned and how it is spent. But the plagiarism of DocuSend, or any small business, hits me differently. The culprits didn't just copy content, articles, or a few concepts. They attempted to steal our entire website. Our graphics, instructions, descriptions, prices, design, just about everything was duplicated! The guilty party was so brazen and shameless, I’m surprised they didn't copy the DocuSend name. 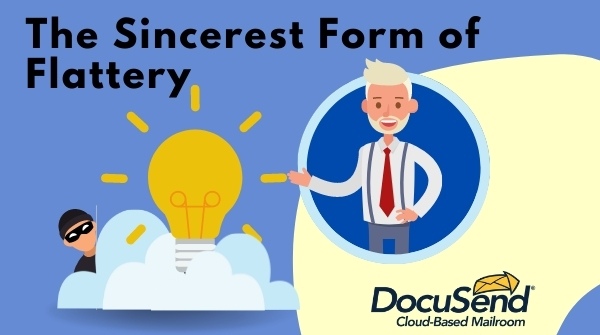 Had they managed to steal our business, what troubles me the most is the enormous impact it would have had on the lives of those who invented DocuSend. These people who have worked so hard for many years are people that I love and respect. If successful, not only would the perpetrators have taken what we had worked so hard for up to this point, but even worse, they could have stolen everything we plan to accomplish in the future. So, ask yourself, how do you set a value on taking away the future of honest, hardworking people? But I'll tell you why this attempted theft failed and why future attempts will never work: no one else has our ground-breaking technology. 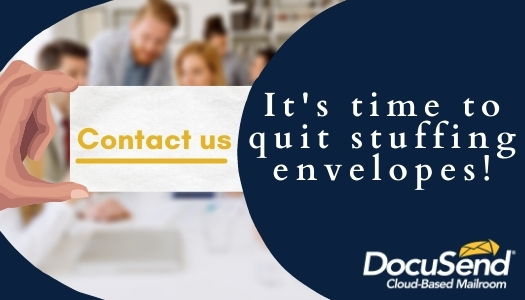 Using the DocuSend cloud-based mailroom does not require you to give us your data. I won’t go into why it doesn’t, or how we do it, but the result makes it the easiest and most secure web invoice distribution product in the world. Want an example of why this is true? OK, let's use the malefactors that plagiarized us. They allow you to send them a PDF (no data), but if it does not line up correctly in the window envelope, they can’t do anything to help you. So, what do they want you to do? They instruct you to install their print driver. That is a minimum of 10 steps, and as many as 21. What does that give them? Access to your precious data! That’s right: your data, or worse, your client’s data, just floating out there on the web, in the crosshairs of cybercriminals licking their chops trying to get at it. It's ironic that the very people who attempted to steal DocuSend’s business are inviting cyberthieves to explore the data provided by the same clients they sell their service to. 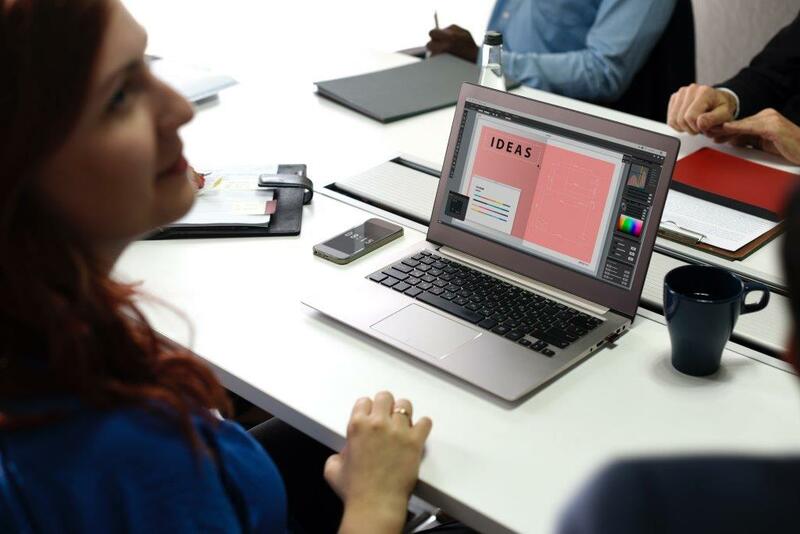 Wouldn't you agree, the people behind plagiarism are not the type who will ever contribute to the growth of small businesses, unless it directly benefits their immediate bottom line? They are the kind that don't listen to their own clients unless it benefits them directly. Who wants to work with a web service that can't even anticipate users’ needs? To them, innovation is just something that someone else has already thought of that they hope to cash in on. They will never keep up with a company like DocuSend. If they had that kind of imagination and creativity to begin with, they would have developed the technology themselves. You won't find copycats that maintain a 95% user retention rate. It is not my intent here to provide information on the best online plagiarism checkers or what tools are available to detect and remove stolen content. The web is loaded with that type of information. My intention is to make small business owners aware that these thefts are becoming more common and often go undetected. I am being informed by multiple sources that plagiarists recognize excellence when they see it. Only the best services and products get copied, especially to this degree. That’s why I am reaching out to my fellow small business owners: Has anything like this happened to you? We would love to hear your comments. And, if you have experienced plagiarism in your business, or have been the victim of website fraud and electronic piracy, please share it in the comment section below. You never know how many SMBs it may end up helping. Sharing information is one way we can address this and many other issues facing small businesses today.